I’ve received so many bloody Mary mixes to review it could take a while to finish them all, and I’m not a big vodka drinker. But if the mixes which come in are as good as Gator Ron’s Divine, I might need to look at some AA meetings. 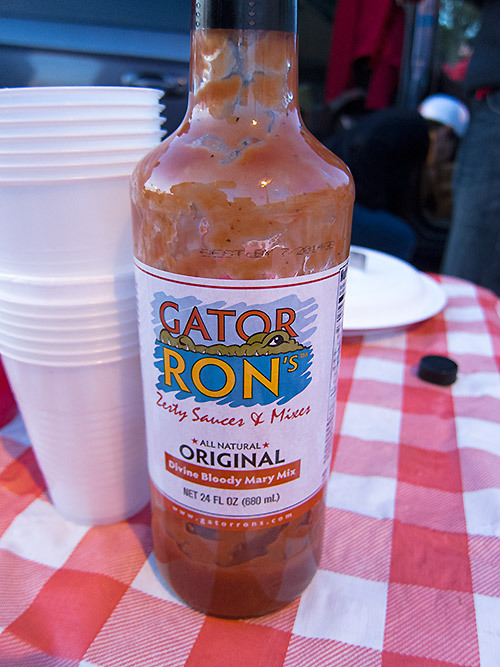 Gator Ron’s Divine is a solid bloody Mix with a nice flavor and texture. The mix was fantastic with some lime and a little tabasco to kick up the heat a bit.